Having outside speakers enter a university to speak about a specialist subject is a great thing, especially when they are standing up for what they believe in. However has the line ever been crossed when our university invites guest speakers when perhaps they shouldn’t be allowed to speak? Should Kingston University allow guest speakers with extremist views in to speak without being challenged? Moazzam Begg returned to our university, for the third time last week, so he could talk to students about the war on terror, radicalisation, islamophobia and his hatred for Prevent. In 2017, Begg had been named as one of the 500 most influential Muslims in the world. This is a strange choice considering he sent money to and spent time in Chechnya and Bosnia, both hotspots for Jihadi fighters, and visited Mujahedeen training camps in the early 90’s. While in an American base in Afghanistan he signed a confession to the FBI stating he was a member of the Al-Qaeda and also spent almost two years in detention in Guantanamo Bay as a result. Begg was arrested in Pakistan in 2002, where he and his family had fled after the fall of the Taliban. 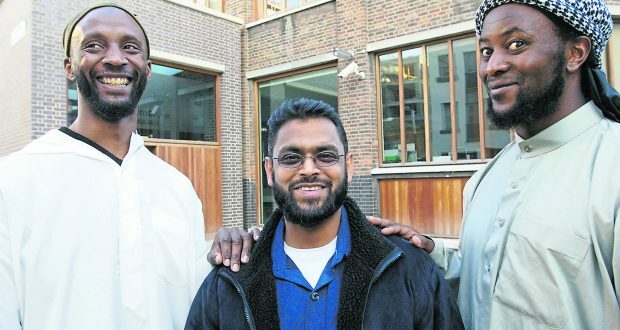 Many students have a false understanding on who Moazzam Begg really is. Many students believe Moazzam Begg coming to our university is a good thing as he is addressing Islamophobia in the West and what he regards as civil rights is being restricted to Muslims. I strongly disagree with any of our students giving Moazzam Begg any attention as stated above he has been involved and has connections with extremists who have been threats to countries across the world. If someone has connections with extremists such as Anwar Al Awlaki, the radical Yemeni cleric tied to 9/11 and the 2009 Fort Hood shooting then why should they be allowed to speak in a university to educate students? Surely it is morally wrong and baffling that a place dedicated to our higher education and diversity thinks it’s appropriate for a man who once described British executioner Jihadi John as a “beautiful young man” to be able to speak unchallenged? How many guest speakers do you know who have been released from being detained in Guantanamo Bay and have been classed as a ‘terrorist’ and confessed to the FBI that he learnt how to make bombs? How many do you know how have encouraged young Muslim’s to travel to Syria to “defend the revolution” and were photographed with suicide bomber Jamal Udeen al-Harith and who received a £1 million pay out before ending himself in a car bomb in Mosul? Despite Moazzam Begg coming to Kingston to talk about ongoing issues within the Islamic community. Personally feel it’s inappropriate to allow a heist speaker to talk to students when they have admitted and been involved in the above. What gives him the right to come and talk to us? Why should we give this man any form of our respect and attention? A university is a place of education where students come to learn about themselves and the world. The idea of our university allowing ‘an extremist’ to speak to impressionable students about Islamophobia I feel is unacceptable and atrocious. As a woman, I feel Begg holds a view that would leave me feeling nothing but an object stripped of all rights. As many are aware media outlets will go to any length to sell you a story and make it to the front page. Even if that means twisting the facts and deceiving their readers – however this isn’t something I expected from our very own River! Although, not all media outlets are the same – some such as the Daily Mail are a special kind of stupid. Sadly, to say that with stories such as the above – other media outlets are following in their disgraceful steps. These obnoxious media outlets and stories from the likes of Daily Mail hardly deserve a scientific rebuttal. However, having a paper such as the River allow a preposterous piece like this be published – it is vital that sinister deceptions are corrected and made clear to the mass. The article is full of personal opinions and is nothing close to being fact based. Firstly, there is no mention of the suffering and torture that Moazzam Begg has had to endure – be it here or in Guantanamo Bay. From being Shackled and hooded to being interrogated and being taken away for years unlawfully. Moazzam Begg has experienced a generation of conflict and has been detained under the pretext of suspicion of “terrorism”. However, he has never been convicted of any crime what so ever. In fact, he walked free from Belmarsh prison after seven terrorism-related charges against him were dropped. So, the question must first be asked, is he even an extremist, or what qualifies to being an extremist? This clearly shows that the writer was either not present at the event where Moazzam spoke, or she clearly wasn’t listening and too busy thinking of how to make it to the front page. I say this because, there was a questions and answers session which took place and anyone was free to ask questions to the speakers and challenge any “extremist” views. The article is full of inconsistencies and false messages that should be thought about very carefully and either retracted or removed all together as it doesn’t show credibility at all. I would like to end by saying that not all media outlets are the same. Media outlets must be applauded for posting stories that help educate students and refuse to publish false, despicable and outrageous writings that have the aim of deceiving students by using scaremongering techniques to sell a story. I sincerely hope that the River takes seriously what they publish and that it does not allow absurd articles to be published and more so that it educates its authors. The University has a long and sordid history of colluding with extremists. In 2006, in an effort to “investigate” a Jewish staff member, they hired an individual who was later tied to an Islamic primary school that was exposed as a front for Hizb ut Tahrir terrorist indoctrination — he was Chair of their Board of Governors of the school, so not exactly a bit player in the operation. Clearly, the University hired this fellow because they believed, quite correctly, that because of his biases, he would tailor his report to suit the University’s agenda. Kingston University has been named as among the worst universities in the UK for recruitment by extremists. It is, therefore, not the least bit surprising that Mr. Begg would have been allowed to speak to students. Whatever one might think of the free speech issues raised by pre-judging the content of invited speakers — and there is certainly a case to be made that free speech should always prevail — it is clear that Kingston University comes down on the side of extremists in its policy and practice of allowing such speakers to have a platform.